Sometime when you press power button to turn on your phone or tablet you have to face lot of difficulty, because your phone does not turn on. There are lot of reason behind this reason either power button of your phone broken or any software along with hardware problem. Most of the person arise a question in this situation what to do when Android phone or tablet wont turn on. If you have any hardware problem then you have to take your device or tablet to service center. But, if there is an software problem then you have to easily fix the issue after reading this guide. There are lot of reasons due to which your Android phone or tablet wont turn on. You must have to read all the reasons and get the the solutions what to do when Android phone or Tablet won’t turn on properly. When your Android phone or tablet battery is standing in front of dead point and you will get an empty battery signal on your device then you have to immediately charge your device. In that situation if you try to press power button then your device does not respond properly. If you want to fix this issue the immediately plug in your Android phone or tablet with the wall charger. After you will get green signal on your device then you have to press power button of your device. It is one the main cause due to which your Android phone or table won’t turn on. If you feel your device does not start charging then you have to check the device battery or charging cable. If you found any problem in any one then you have to immediately replace them with original one. After that again check and charge your device with new battery or new charging cable, after some time if you get green signal on your device it means your device charging properly. Now you have your Android phone or Tablet ready to turn on. Sometime your device operating system does not properly respond due to hard freezing at this situation your device is turn on but screen display isn’t on. At this situation you must have to long press power button of your Android phone or tablet and tap on the shut down option. After properly shut down your device again turn it on. During turn on if you feel any vibration that means your device is working properly and your problem is resolved. But if your problem is not resolved that means display driver of your screen does not working properly and you have to take your device at service center. It is main reason due to which your Android phone or tablet won’t turn on. Due to rainy season your phone is wet with water or accidentally fall down in to the water you have to face this issue. At this situation most of the users doesn’t take care his device and try to turn on his device. If your device is wet with water and you try to turn on then your device will be damaged due to short circuit. At this situation you must have to know what to if your phone get wet or fell into the water . Most of the person try to do lot of experiments with his wet phone at this time you must have to know what not to do wet Android phone. 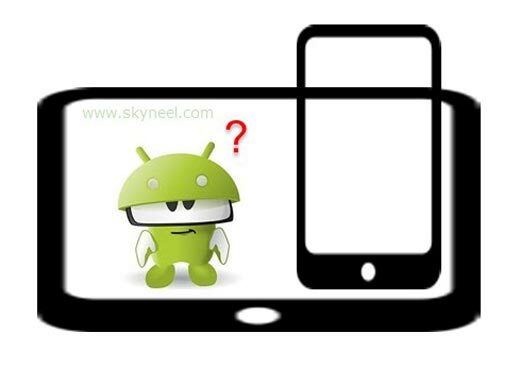 If you feel that operating system may be crash or freeze your Android phone or tablet during the booting process then you have one solution to fix the issue to use factory reset from recover mode. You must have to know the process how to Factory reset Android device by System Settings or Recovery Mode . After applying factory reset process on your Android phone or tablet then your device will be converted in fresh condition. But before using factory reset process always take backup of your Android phone or table at one or more locations. We hope after reading what to do when Android phone or Tablet won’t turn on article your problem will be solved. You must take care your device and always take complete backup which helps you to get back all the data when you suddenly lost them. If you have any query or suggestion regarding this article then please write us in the comment box. Thanks to everyone to reading this article.